When you are making those resolutions don't copy someone else's goals, really take the time to think about the things that will work for your life. Make sure that they are truly something you want to succeed in. You can always borrow ideas but put your own spin on them to make them personally yours. After you have that list make sure it is an attainable one. Try to pick a handful that are the most important to you. You don't want a list a mile long and never be able to get to half of them. Keep the list short and affective in your life. When starting one of my goals I try to ease my way into them. For example, if I want to try to eat healthier, I cut down on things like pop or candy (I have a major sugar tooth lol), something I know I can do and stick to. When I keep to this I find myself cutting it out altogether and even making better choices all the way around with my nutrition. But, if taking the full plunge is something you like to do then I say do it! Then there's the question of "how do I hold myself accountable?" For me writing it down and having that visual helps me keep track and progressing towards my goal. I try to write it down in my planner and put a check mark next to it knowing that I finished it. You can also get free printable calendars to hang up and shade in each day that you stick to your goal. There are always lots of different ways to do things try a couple out and find the one that works best for you. My last tip is to find someone who you can check in with and will help keep you motivated. For me I like to have my friends keep me on track because they are honest and helpful. I also like to take dry erase markers and write my goals on the mirrors I look in everyday so that way I am constantly reading them. Try to find that support that can help you when you are having a rough day or feel like things aren't working, they will help you to keep reaching. I hope everyone has gotten a little inspiration from this and is ready to take on the new year. Remember these are just the ways that help me to work towards my goals, if you have something that works best for you then do it! 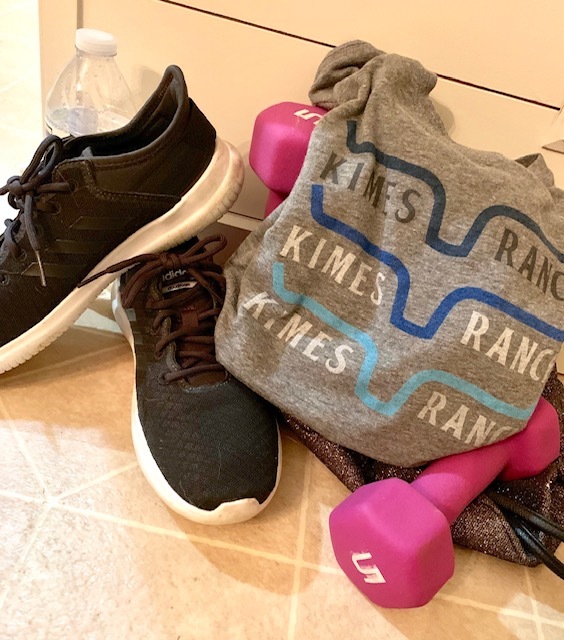 Happy New Year everyone let's make this an unforgettable one and don't forget it's a new year so get you some new Kimes!